Fl. green was added for 2018. Mahogany will also come in stock in 2019. 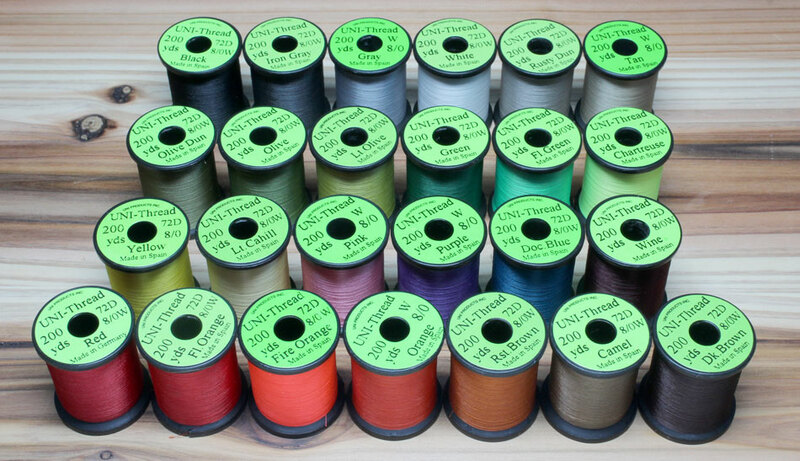 The most popular thread. 72 denier. 8/0 is the most often used in our studio. Fineness and smoothness make beautiful trout sized flies. Also used for wet flies and salmon flies which you want to make the head nice and compact. If you tie stream dry flies and nymphs in Japan and often break your thread, it is likely that something is wrong with your tools like bobbin or technique.